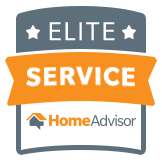 Alternative EarthCare has been providing quality residential and commercial services across Long Island, New York since 1996. Specializing in mosquito, flea, and eastern end of long island tick control service, traditional lawn services (including aeration and seeding), irrigation system services, tree removal and pruning, and Christmas and holiday light installation, the team of professionals successfully caters to your needs in the least toxic, most organic way possible. The very name, pre-emergent crabgrass killer, speaks to its purpose; kill the crabgrass before it takes hold. 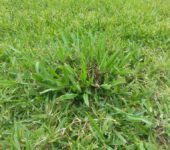 Spring marks the starting point for many property preparations, and crabgrass is among the most urgent needs to see to. Crabgrass invades lawns, and it does so quickly. Alternative EarthCare discusses why pre-emergent crabgrass control in the spring is so important. Crabgrass germinates from early winter through late summer Crabgrass doesn’t wait, so neither can you. Crabgrass chokes out healthy grasses and impacts the health and aesthetics of a lawn. Since invasive crabgrass begins germinating as far back as early winter, there is no time to waste in starting preventative measures with pre-emergent herbicide control. The most effective means of crabgrass control is eliminating it early Once soil temperature reaches 50 degrees Fahrenheit for a couple of days in a row, crabgrass germination explodes and can overtake a lawn quickly. The best way to control crabgrass with pre-emergent herbicides is to address it in early spring before the problem has escalated. Keeping up with invasive crabgrass once it begins it’s quick growth and spreading, is vital to keep the task manageable and for lawn health. 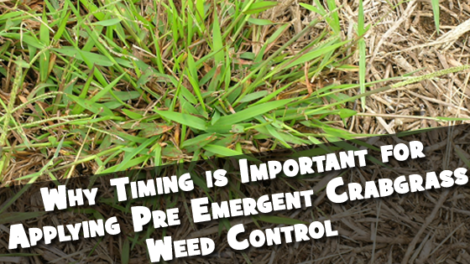 Pre-emergent control should coincide with spring fertilization Fertilizing helps to produce a dense lawn that will choke out crabgrass, but for it to be successful, it needs to happen before crabgrass has gotten out of control. Address pre-emergent crabgrass control in the spring to coincide with fertilization efforts for the best possible outcome. Pre-emergents should be applied every season for best results For best results, pre-emergent crabgrass control should occur every single successive season, spring, of course, included. Being consistent with applications is the best way to control crabgrass and the only way to eradicate them completely. No season should be missed, but least of all the spring which is the most vital season to address new crabgrass growth.